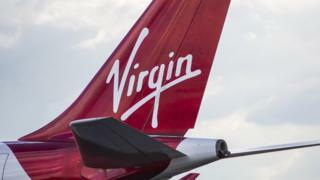 Virgin Atlantic has found itself at the centre of a social media row after removing the word Palestinian from an in-flight meal following complaints. A couscous-style salad had been described on a menu as "inspired by the flavours of Palestine". Pro-Israel social media users called for a boycott of the airline, saying it pandered to Palestinian supporters. However, the airline's decision to remove the terms sparked a fresh backlash from Palestinian sympathisers. Twitter user @Thedaniwilliams highlighted the controversial dish after taking a flight in December 2017. Sharing a photo of the menu, they suggested the airline had been influenced by the pro-Palestinian campaign group Boycott, Divestment and Sanction (BDS). David Garnelas shared a similar photograph of the menu to the Israel Advocacy Movement Facebook group suggesting "Israelis must boycott Virgin". After a number of social media users expressed their dissatisfaction with the naming of the dish, the airline apologised for causing offence and changed it to 'couscous salad'. However, the dish's name change has caused fresh controversy after some on social media questioned the airline's decision to remove the word Palestinian. A number of Twitter user expressed their anger at the change of wording, and asked why Virgin Atlantic thought the word Palestinian was offensive. Twitter user Anna Habibti said anti-Palestinian groups were trying to "wipe Palestine off the menu" as well as "off the map". Geographically, the term Palestine is used by many pro-Palestinians to refer to the Israeli-occupied West Bank, East Jerusalem and Gaza and, at most, Israel itself - something supporters of Israel regard as delegitimising the state. Virgin Atlantic told the BBC the airline chose to name the dish Palestinian couscous salad as the main ingredient, maftoul, is not widely-known. Maftoul is often referred to as Palestinian couscous and is made from sun-dried bulgur wheat. A spokesperson for the airline said: "We'd like to reassure all customers that our sole intention was to bring new flavours onboard, and never to cause offence through the naming or renaming of the dish." It is not the first time the classification of food has been a source on tension between Israeli and Palestinian groups. In 2015, UK supermarket Waitrose came under fire from Palestinian supporters for publishing a Taste of Israel magazine which included a number of traditionally Arabic dishes.